The Gay Gamer: Professor Layton and the Unwound Future, eh? 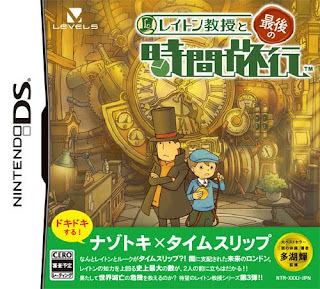 Is the third Professor Layton title finally leaving Japan? It sure seems like it. According to siliconera.com, series developer Level-5 recently registered a trademark for Professor Layton and the Unwound Future. 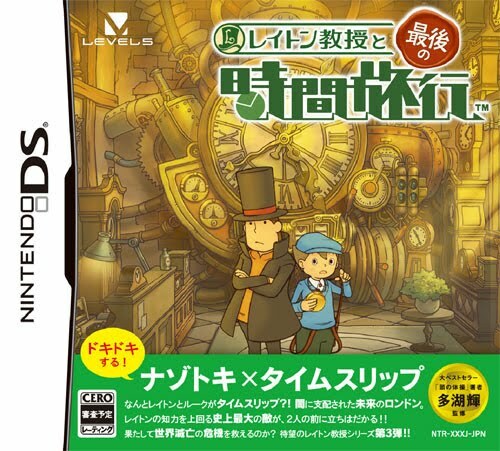 Sure, that's not a literal translation of the game's Japanese title (which would be something like Professor Layton and The Last Time Travel), but it's similar enough to suggest it will, indeed, be making its way westward in the near future. In the meantime, enjoy the title's melancholy theme song. Ooooh...that means I need to get on buying and playing Diabolical Box. Yep, vacation -- though it's not an exciting one. We're going back to Madison to see friends and family for 10 days. I'm really looking forward to it, though. RE: your WarioWare DIY creations -- I really have to get back to that game soon. :( I'm glad you're still enjoying it, though.